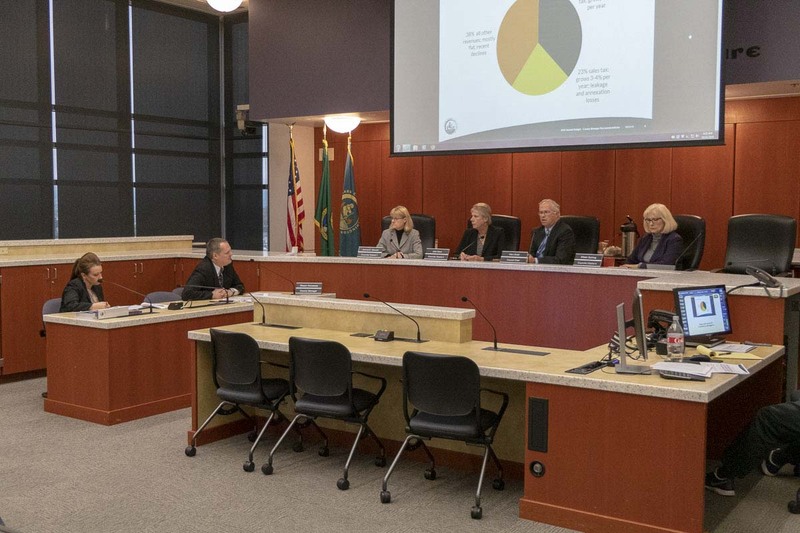 CLARK COUNTY — The Clark County Council on Tuesday approved a new $518 million budget for 2019. 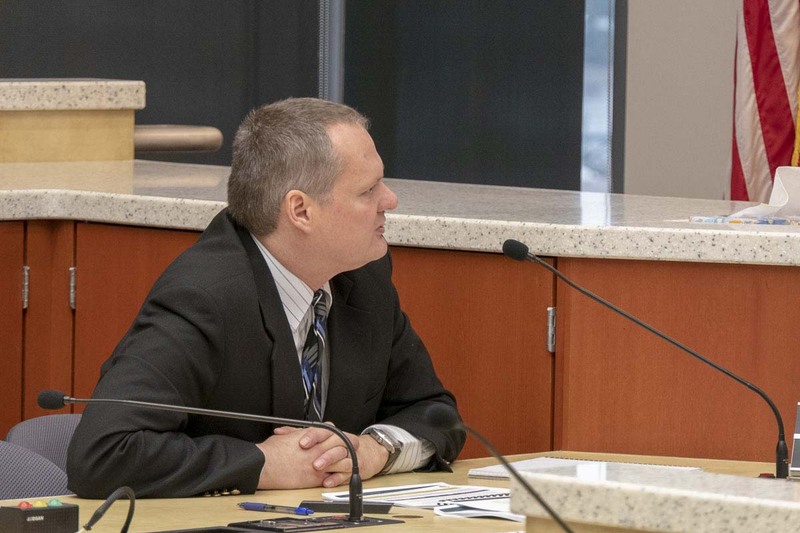 This is the first year under new County Manager Shawn Henessee, and the first since 2008 that the county will be budgeting on an annual basis, rather than every other year. Henessee agreed, citing growth as both a positive and negative for the county. “While we’re realizing more in terms of sales tax and property tax with that growth, there’s also a commensurate increase in the demand for services,” Henessee said. The budget includes no sweeping cuts, unlike previous years, but Henessee said he was conservative in approving new budget requests. Henessee said the budget office received 156 funding requests during the process of drawing up the budget. Saying “yes” to all of those would have resulted in a total decrease in the county’s fund balance of $67 million. The bulk of the county’s $170 million General Fund budget is eaten up in staffing. While the number of full-time employees in the county has remained largely static over the last decade, the cost of salaries, pension, and healthcare have jumped, meaning payroll costs have climbed 60 percent since 2009. The budget adopted by the council was largely the same as the one Henessee recommended. One change was to take money assigned for a marina boat dock for the Clark County Sheriff’s Office and reassign it to upgrade an outdated smoke detector system in the county jail. The budget was balanced by finding $400,000 in cost savings. Property and sales tax revenue have remained strong, but Henessee said he made the decision to budget based on the low end of revenue projections. Henessee said his estimates put projected property tax revenue for 2019 at $1.6 million. That included a one percent increase in the county’s property tax levy, the maximum allowed under state law. According to Henessee, the increase will raise an additional $632,953 for the county budget, on the backs of an estimated $3.41 per year increase in property taxes on a median-priced home of $349,000. In forgoing the property tax levy increase five of the past seven years, Henessee said the county had given up at least $3.2 million, or a total of $15 million in potential revenue. The sole “no” vote came from incoming Council Chair Eileen Quiring. Quiring also was the lone “no” vote on the decision to take a one percent increase in the county’s road fund. That move should add another $4.66 a year for a median priced home, but will help the county to more quickly address several traffic bottlenecks, and to move ahead with projects near the I-5/179th Street interchange. Councilor Julie Olson pointed out that she too had spent much of the year campaigning, and had responded differently to constituent complaints over tax increases. “Over the last 10 years our expenses have gone up 1.5 percent a year. So the idea that we’re somehow wasting money and not paying attention to what we’re doing — sure there are opportunities for us going forward on a line-by-line basis to continue to squeeze — but the notion that we’re not already doing that, I’m finding offensive,” said Olson. Henessee has said he intends to start 2019 off by sitting down with each county department to go over their individual expenses, line-by-line, looking to see if any further waste can be cut. However, he didn’t want to start things off by asking for blanket cuts, since some departments have been better than others at looking for efficiencies and cutting costs.